Peter Bryer: Mobile Foresight: On the verge of being flexible. Samsung promises flexible displays during 2012. On the verge of being flexible. 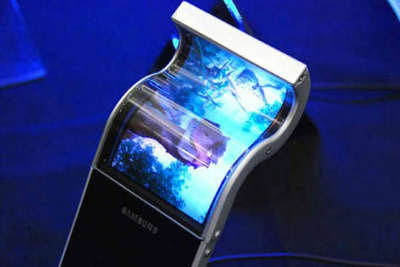 Samsung promises flexible displays during 2012. What form factor changes will flexible screens bring about? More wearable computing? Displays in backpacks and knickknacks? Start your imaginations. Samsung promises to start supplying flexible displays during 2012, and while this might not change the boring flat, black form factor that has become so ubiquitous in the smartphone market, it could lead to displays used in very new ways. Remember, Samsung isn’t just the world’s largest vendor of smartphones, Samsung Electronics is also a key component supplier selling displays and memory and lots of other gut parts.